The Pentagram is often wrongly associated with devil worship but the origins of the Pentagram tell a different story. Rooted in Greek language, the term ‘penta’ means ‘five’ and ‘gram’ means ‘drawing’ or ‘written’. 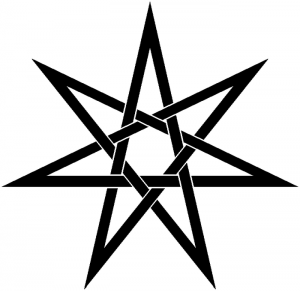 The Pentagram was used by Pythagoras and his friend Pherecydes of Syros to illustrate important ideas of Cosmology, and the five elements that the Greeks believed to be present in a every human body: earth, air, fire, water and aether. In Judaism, the Pentagram represents the five books of Torah. It was also widely used by Christians until the 14th and 15th centuries when the world saw a rise of occult practices. During this time, many Christian symbols became associated with these. The Pentagram represents many things – creation, perfection in the human body and mathematics, and it also has its uses in magic and rituals. 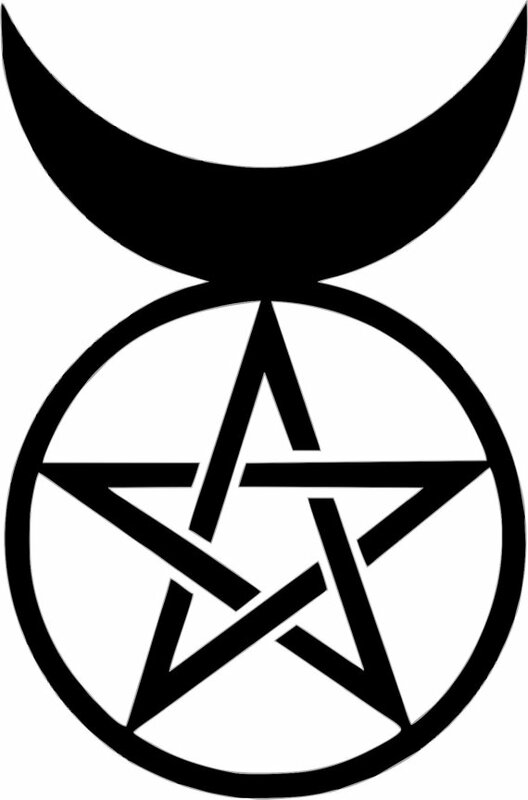 Wiccans and Neopagans draw the Pentagram to represent the four elements of earth, air, fire, water, with the additional top point representing spirit. 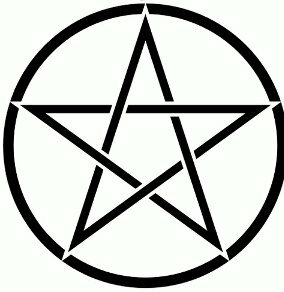 There is a difference between a ‘point up’ and a ‘point down’ Pentagram. The ‘point up’ Pentagram is associated with spirit ascending above matter, and the ‘point-down’ Pentagram represents the spirit coming down to earth. You may recognise the Ankh from movies like The Mummy that use Egyptian symbolism. 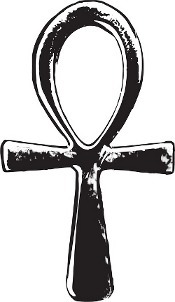 Shaping it as a traditional cross, except for the oval-shaped handle at the top, the ancient Egyptians used the Ankh as a symbol for eternal life – nearly all of their gods wore the Ankh. The Ankh, along with many other ancient symbols, has seen a revival since the New Age movement brought it back in the 1960s. Celebrities, such as Elvis Presley have been wearing the symbol as jewellery. Today, devotees of the ancient Egyptian goddess Isis use the Ankh in their practices. The followers of the Kemetic Reconstruction who attempt to reconstruct ancient Egyptian practices in modern day, also use the Ankh. This symbol, sometimes also known as the ‘triple moon’, has been found among the remains of many ancient civilisations, with the earliest samples discovered in Malta (4400 – 3600 BC). The meaning comes from Greek where it is associated with ‘three legs’ bent at the knee. Slightly altered, this symbol can be found all around the world, including parts of Japan, Tibet and Korea. The Triskelion is a traditional symbol of the isle of Sicily, Italy and the Isle of Man in the UK. Interestingly, it also appears on the USA Department of Transportation seal. 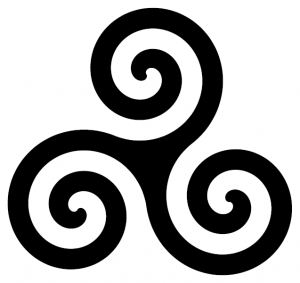 The spiral Triskele is often used by Celtic Reconstructionist Pagan groups to represent their ideas about the Universe and theology, as these are often rooted in triplicities (to illustrate a group of three symbols/signs that belong to the same element). The Irish Air Corps use the symbol in their logo, as the symbol is associated with the Irish deity Manannán mac Lir, the god of the sea and the guardian of the Afterlife. In the 2nd century AD, a Greek geographer by the name Pausanias wrote that in Stymphalus, the Greek deity Hera was worshipped as a Maiden, Grown-up and Widow. But it wasn’t until the 20th century when Robert Graves, a novelist and a mythographer, used The Triple Moon to describe the Neopagan deity the Goddess as a Mother, Bride and the Layer-out. 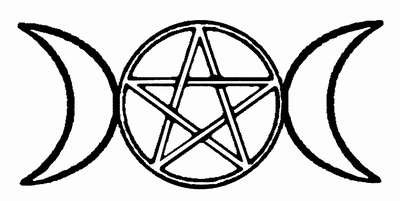 A symbol of the feminine power, the Triple Moon is still used in Wicca and Pagan practices to represent the Goddess. The three moons symbolise the three phases of the Moon – waxing, full and waning. In turn, this symbolises the three life cycles of a woman – starting as a Maiden (youth, purity, beginnings), she then becomes Mother (fertility, nurturing, fulfilment) and, eventually, a Crone (wisdom, death and rebirth). The Triple Moon invites women to celebrate each stage of their life cycle. Throughout history, there have been many accounts of horned deities. In India, a god by the name Naigamesha was worshipped in the 1st century BC (or earlier). He had a head of a goat or a deer. A bronze statue of a horned deity was also found in Cyprus. The modern idea of the Horned God is also similar to the Greek deity Pan who was half-goat and half-man in appearance and cared for shepherds, the wilderness, nature, and accompanied the nymphs. Like the Goddess, The Horned God is a symbol in Wicca and Neopaganism and completes this duo-theistic religion where he represents the perfect union of the divine and the animalistic or nature (including humans). Similarly to the three aspects of the Goddess, the Horned God also has three phases: the Father, the Master and the Sage. In the Middle Ages, people used to scratch the Witch’s knot on their door, to protect against evil and evil spells. Knots have been well-known throughout the centuries, including the legend of the Gordian Knot which only Alexander the Great was able to undo. In the past, witches used knots in magic to ‘tie up’ the weather, to bind things and to create magic circles. The Witch’s Knot is one of the most popular symbols in modern witchcraft, Wiccan and Pagan practices. It is often associated with the feminine powers, and used as a symbol to protect against malefic witchcraft. You can try drawing The Witch’s Knot in a single continuous line, which makes it a protective symbol. Seven has been regarded as a sacred number since time immemorial. In geometry, the seven-pointed star is called a heptagram. It has been used in many spiritual practices, including Christianity where it is regarded as symbolic of the seven days of creation and, thus, also symbolises God’s perfection. In alchemy, it represents the seven planets and the influence that they bear on the human psyche. The Elven star is a sacred symbol in many Wiccan and Neopagan practices. It was made popular in the 1990s with the ‘Otherkin’ movement. 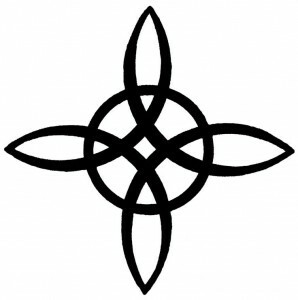 Other modern interpretations of this symbol, associate it with the seven directions – the traditional four being East, West, North and South, plus the new additions of Above, Below and Within. The UK-based author, priestess and artist Emily Carding has also come up with her own “Faery Craft Septagram” as a way to explain the seven aspects that anyone who wants to follow the Faery path need to develop within them. These are Knowledge, Connection, Trust, Honor, Magick, Joy and Inspiration. Ieva Remmerte enjoys writing about philosophy, spirituality, ancient practices and general fiction, and holds holds an MA in Creative Writing from Bath Spa University. You can find her on her website: wholistically.me.